2019 LED Recycling Guide – NLR, Inc. Chances are if you haven’t already undergone a lighting retrofit, you will in the coming years. As LED’s continue to make strides in energy efficiency, lighting quality, and cost-effectiveness, they are fast replacing the fluorescent bulbs of old. They’re very different than fluorescents, but still should be recycled to help reduce waste. So we’re here to take a deeper dive into LED’s, what they are, their benefits, potential drawbacks, and some information about recycling them. LED’s or light emitting diodes are a type of solid-state lighting where semiconductors emit light when a current is passed through them. These diodes usually made of differing gallium compounds are set up in an array, creating a directional field of light. Since this array of LED’s and the circuit board controlling them produce heat those elements are keeping in a housing to act as a heat sink. 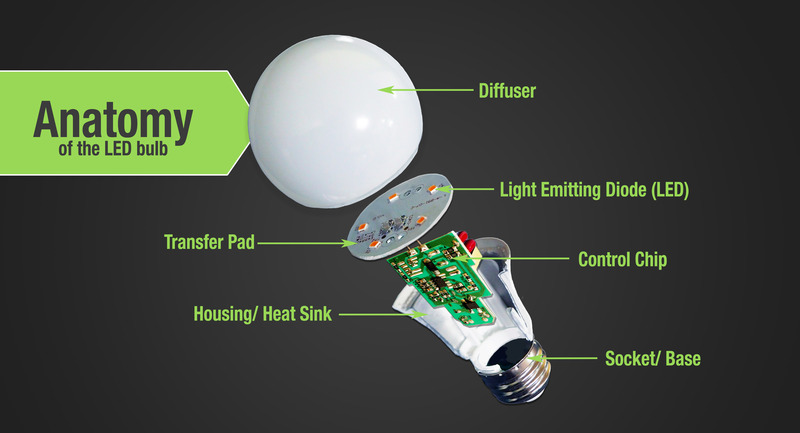 These LED bulbs exist in a vast variety of different styles from the traditional diffuser setup (shown in the diagram below) to the newer filament styles meant to echo the look of old Edison bulbs. While the gallium in itself is not always dangerous, some gallium compounds used for LEDs contain toxic compounds like Arsenic and the circuit boards contain lead and other metals that should be recycled. Some of the benefits of LED lights are longevity and energy efficiency, although longevity in early generation LED lights is ultimately dependent upon the quality of engineering in the product. Many recyclers are already experiencing large volumes of early generation LED bulbs entering the waste stream. Despite their estimated lifespans being considered longer than fluorescent bulbs, end-of-life measures have already been introduced to capture the components associated with the proper management of LED’s. Some drawbacks of LED’s are that they consist of more material than traditional bulbs, mainly plastics and metals, which are harder to recycle. Plastics degrade each time they’re recycled. The glass cullet from old bulbs can be crushed and recycled again and again. 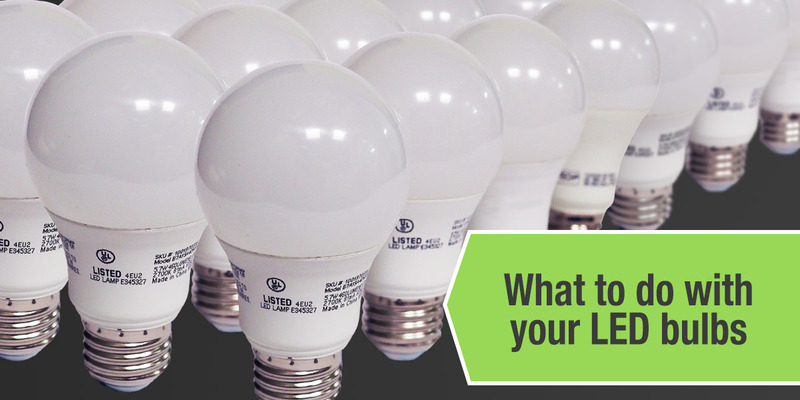 LED’s need to be kept separate from other bulb styles because they are so different from traditional glass bulbs. They are treated more like electronic waste than bulbs. They are also heavier than fluorescent lighting and other bulb styles because most of the light consists of the metal housing. LED’s are often more time consuming to break apart and therefore incur more cost than CFL’s and other traditional bulbs. LED’s usable hours vary widely and we’re already seeing large amounts of LED’s entering our processing facility. NLR, Inc. is ready to process your LED bulbs and to service your continued universal waste needs.